I was supposed to stay on another hostel in Kuala Lumpur, but when I Facebook messaged Karen, a college friend who is now Malaysia-based, she offered her place. My flight from Johor Bahru was very late, and she waited for me at McDonalds in KL Sentral. We planned to do the HOHO the following morning but decided otherwise. I only have one day to tour the city. We ended up with the Go KL buses, these are absolutely free! We got hungry so we decided to jumped in at the Lot 10 Hutong. According to their website, "Lot 10 Hutong is a Malaysia's first and only heritage destination that pays tribute to one of the best loved national treasures - good food and the art of local cuisines.." If only for the variety, and the love of good food, I will definitely recommend this place! Since it was hot that day, we decided to roam around the malls a bit. Pavilion looks fab! We went ahead to our next destination, the Merdeka Square. The Sultan Abdul Samad building stands prominently specially with the beautiful clock tower. We saw the National Textiles Museum, but didn't go inside. Instead we went to the nearby building, the Kuala Lumpur City Gallery. 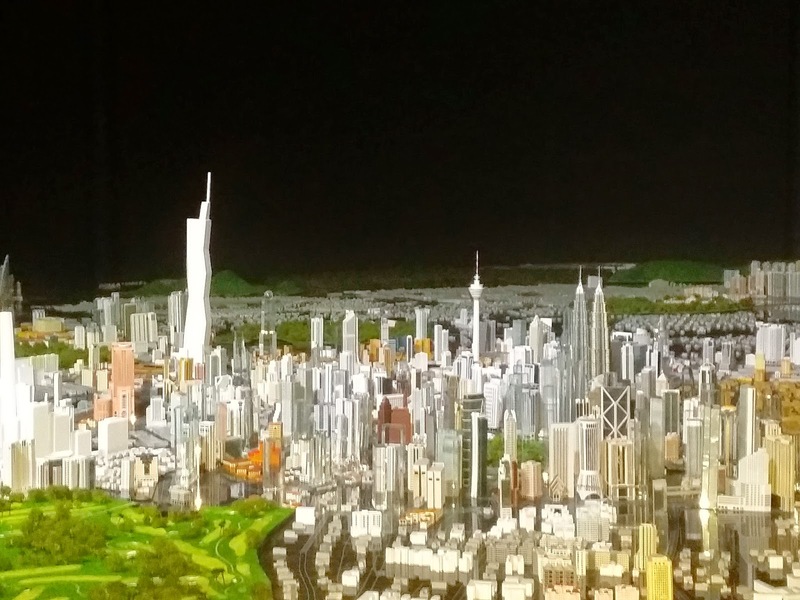 This place features lots of scale models of the different places in Kuala Lumpur. This is the area where they create these pieces. Amazing people creating masterpieces! But this was the most amazing thing in the gallery, the scale model of Kuala Lumpur!